We stay up-to-date with environmentally friendly certifications and attestations. The Forest Stewardship Council® (FSC®) is an international, non-governmental organization dedicated to promoting responsible management of the world's forests. It was founded in 1993 in response to public concern about deforestation and demand for a trustworthy wood-labelling program. 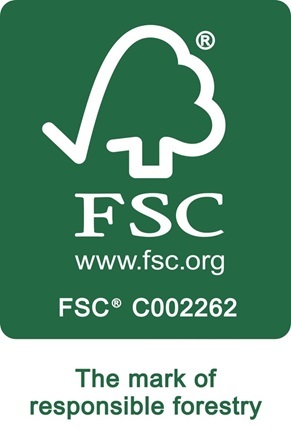 FSC® operates a system of forest certification and product labelling that allows consumers to identify wood and wood-based products from well-managed forests. FSC® is supported by many of the world’s most prominent environmental groups including The World Wildlife Fund, The Sierra Club and The Nature Conservancy. 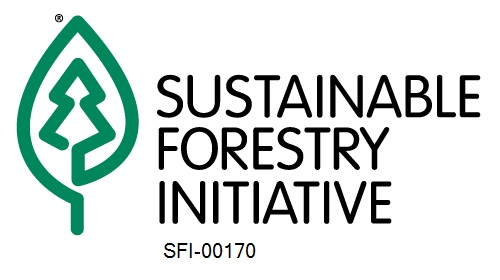 The Sustainable Forestry Initiative® (SFI) program is a comprehensive system of principles, objectives, and performance measures developed by professional foresters, conservationists and scientists, among others that combines the perpetual growing and harvesting of trees with the long-term protection of wildlife, plants, soil and water quality. There are currently over 250 million acres of forestland in North America enrolled in the SFI® program, making it among the world's largest sustainable forestry programs. 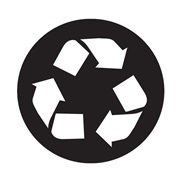 This Mobius Loop means that the entire product is recyclable, without a qualifying statement. It does not mean that the product is made from recycled material. (Public domain – no license required). This Mobius Loop means that the product is made from recycled material. 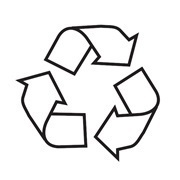 When percentage is indicated within or outside the symbol, that percentage of the product has been made from recycled product. (Public domain – no license required).